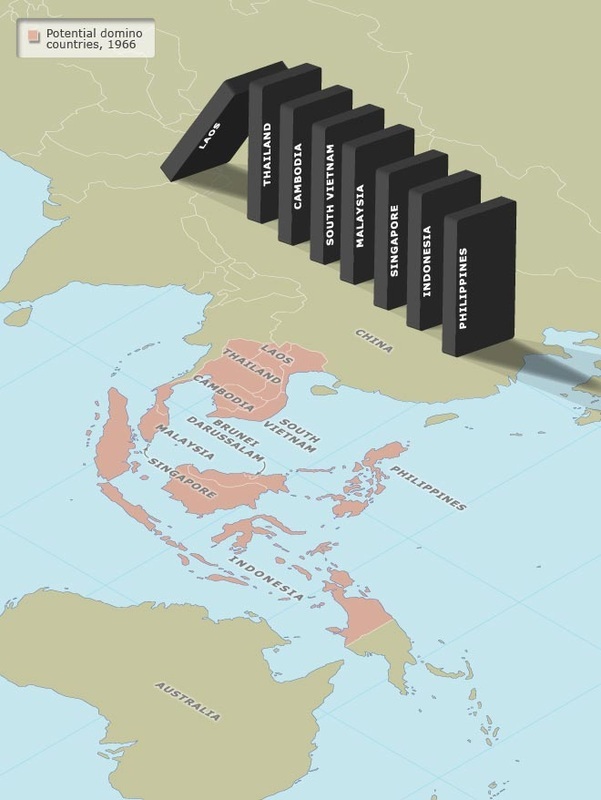 Lesson 1: Why did the Cold War spread to Asia? Content: USSR's first atomic bomb; Fall of China; US White Paper on China; Dean Acheson; The Red Scare; Joseph McCarthy; NSC-68; The Korean War. 1. Statement by Dean Acheson on China from the 1949 White Paper on China. 2. Useful review article about the significance of the White Paper on China. 3. NSC-68 (1950) entire PDF document. 4. Article about the first Soviet atomic bomb. 5. Excellent overview of McCarthyism and the Red Scare. Lesson 2: What were the Causes and Results of the Korean War? Content: NSC-68; Containment; Causes of the Korean War; Role of MacArthur; Stages of the War; ROK; DPRK; Syngman Rhee; Kim Il Song; Stalin; Mao Zedong; Effects of the Korean War. 2. Make an essay plan for the exam question at the end of the presentation. 1. Clear and easy to read account of US entry into Korean War. 2. 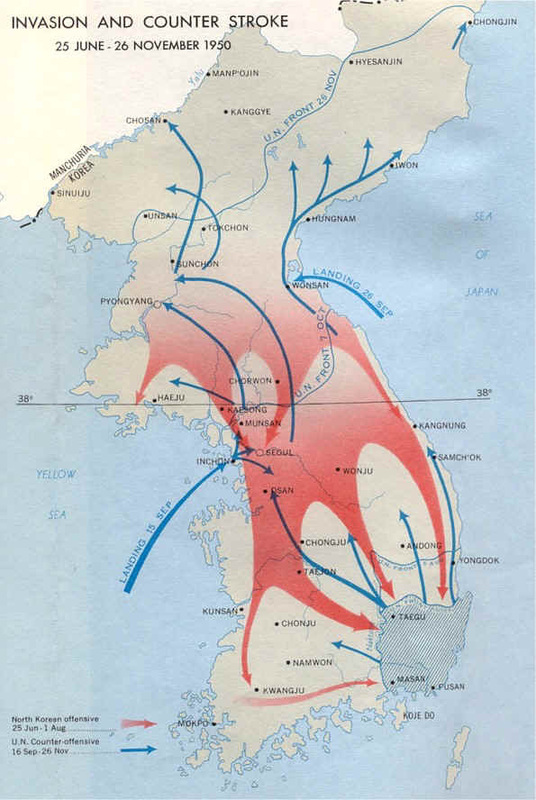 New Russian account of Korean War based on new research from Soviet archives. 3. Overview of the 1954 South-East Asian Treaty Organisation (SEATO). 4. Interesting article on the significance and impact of the Korean War on today's world. Lesson 3: Why was Containment a success in Japan and Taiwan? Content: Douglas MacArthur, SCAP, De-militarisation, Zaibatsu, Japanese Constitution and Bill of Rights, Reverse Course, Red Purge, Self-Defence Force, Treaty of San Francisco, American-Japanese Security Treaty, Chiang Kai-shek, Quemoy and Matsu, Formosa Revolution, Taiwan Miracle, Sino-American Mutual Defence Treaty. Lesson 4: Why did Containment fail in Vietnam? Content: Ho Chi Minh, Dien Bien Phu, Geneva Accords, SEATO, Ngo Dinh Diem, ARVN, Vietcong, National Liberation Front, Kennedy and Flexible Response, Search & Destroy, Strategic Hamlets Program, Self-Immolations, Assassination of Diem, LBJ, Gulf of Tonkin Incident/Resolution, Operation Rolling Thunder, Great Society, Westmoreland, Tet Offensive, Nixon, Peace with Honour, Vietnamisation, Paris Peace Talks. Lesson 5: How did Sino-Soviet Relations change during the Cold War? Lesson 6: How did Sino-American Relations change during the Cold War?